A craft activity studio for all ages; have a go on one of our potter's wheels at making your own pot, up to 4 people at once you will be guided by out instructor. 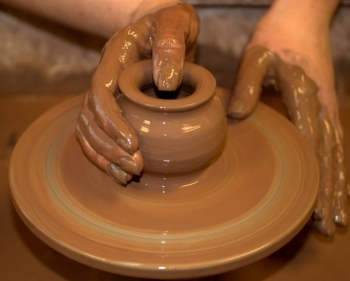 Potter painting; try decorating one of our pre-made pots. Decopatch; design your own ornament with our range of decorative papers and wide range of items. Mosiac; create your own mosaic masterpiece with our range of colourful tiles and shapes. A craft activity studio for all ages; have a go on one of our potter's wheels at making your own pot, up to 4 people at once you will be guided by out instructor. Potter painting; try decorating one of our pre-made pots. Decopatch; design your own ornament with our range of decorative papers and wide range of items. Mosiac; create your own mosaic masterpiece with our range of colourful tiles and shapes.